If you're not a vegetarian (vegetarians already know this) but want to do something to be certain animals that are part of your diet are treated kindly? Eat eggs from non-caged chickens who are fed organic meals. The vast majority of eggs sold to us are laid by hens who are not ever allowed to move. They are pinned in cramped cages where they can only lay eggs. I won't tell you the extremes some corporate farmers go to in order to assure these poor birds cannot even walk, but just know that they are trapped, and fed whatever helps them lay more eggs more often in their short, miserable lives. More, they are fed food containing animal parts instead of the purest, healthiest feed. 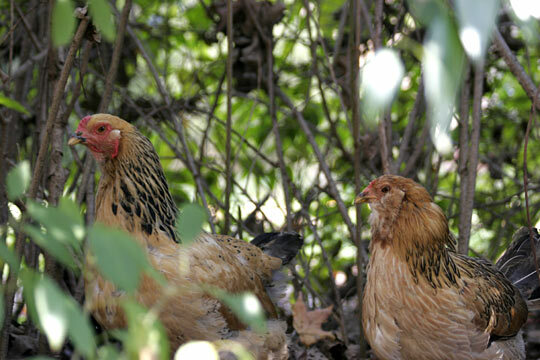 Humane farmers have created farms that allow their laying hens to safely roam freely; most free-range farmers also feed their birds organic food. Healthy birds fed healthy food = healthy eggs. Look for the labels on egg cartons: cage-free, free-range or words that specifically and legally denote that the chickens are not constantly confined in cages AND that they are fed organic feed. The "down" side is that cage-free, organically fed chicken eggs are more expensive, but I decided the extra cost is worth it to me. I eat one egg for breakfast on a slice of dry whole grain toast with fruit or half cup of juice three mornings a week -guilt-free - knowing the farmers I support care enough about their animals to treat and feed them well; in turn their chickens produce rich-in-protein great tasting eggs. I used to have two eggs with buttered toast and a tall glass of juice. My "new" breakfast portions are plenty filling and tastier. Thanks, cage-free, organic food feeding farmers! 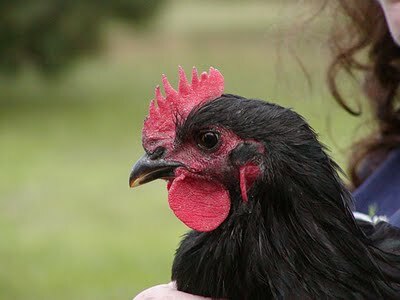 Thanks to My Pet Chicken for the photos! The cage free non-hormone eggs taste better as well. It would actually be the cheaper alternative, along with the other healthier organically grown food, if the "junk" they put on the shelves wasn't subsidized by the government, especially corn production. If people want to watch a good documentary on this issue, I highly recommend Food Inc. or a book called In Defense of Food. Great comment, Jarrod, and great suggestion to see Food Inc. and read In Defense of Food! Counting down to Nov 2 HEROES!